While we are all so different, there are some things that we inherently share, regardless of location or ideology. We all look at the same sun and the same moon each day. We all eat and we all poop. And, contrary to popular Hollywood movies based on best selling “non-fiction” books, none of us know for sure what is waiting for us after we each take our last breath. We all speculate based on our individual belief systems. Many of us are convinced that our understanding of the afterlife is locked-and-loaded. But, I have yet to meet anyone who was declared dead for a few weeks and came back to life with a selfie full of images of God, angels and dead relatives on his phone. My dog died two weeks ago, but let me make it clear that she wasn’t just my dog. She was my best friend, my four-legged child, my confidante, my unconditional love, my biggest fan and my constant companion. Simply put…She was my joy. I had a series of appointments in my old town and brought her to the doggie daycare where she loved to play. After giving me kisses, she ran back to the play area to greet her old friends. She loved life, loved people, loved her friends and didn’t know when to stop and take a rest. After getting over-heated, her heart gave out. 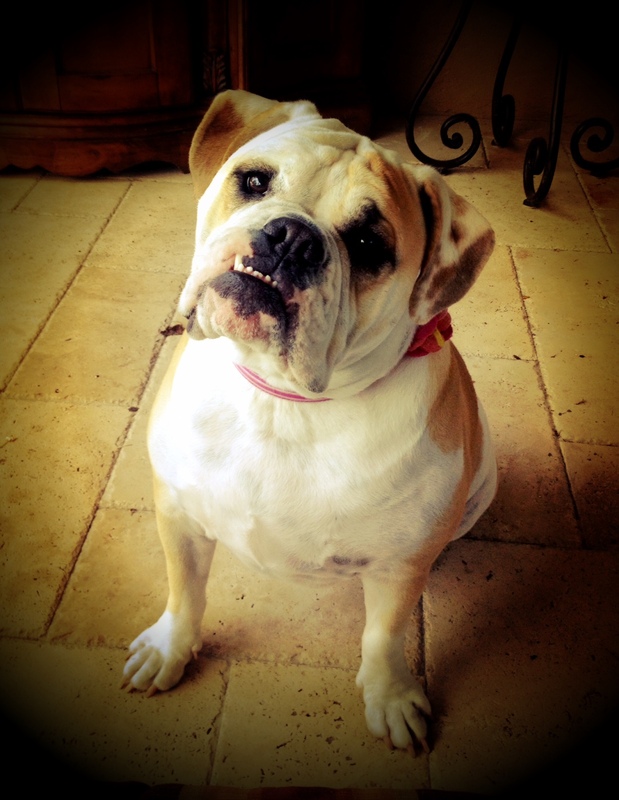 I got the call that my 2 year-old Valley Bulldog, Daisy Mae, had died just 4 hours after I dropped her off. I was 4 blocks away and raced to be by her side, but she was gone. The first thought that went through my mind was, “Please let there be a heaven because I can’t imagine never seeing my baby girl again.” I have always been a person of faith, but moments like these make us realize how vulnerable we are to the truth about the afterlife. We have no control over creating it. I prayed that she went straight from this world to the Rainbow Bridge where all of the dogs play and wait for their one special owner to eventually arrive for a lovely permanent reunion. Faith is the only thing that can provide comfort during times like these. Without it, I know I would feel even emptier than I do now and life would feel purposeless. So I choose to believe. Daisy Mae’s death has forced me to see so many things differently. I have received so much love from family and friends, more than I ever expected. I have experienced the impact my little baby girl had on others and have been inspired to live a more joyous life. I have developed such a sense of awareness of the grief that people who have lost a child must experience and am humbled by their courage to get up each day and face life without their loved one. I have learned that there are animal lovers who “get” how I am feeling and those who probably never will…and I am so proud to be among the animal people. I have been reminded that with love often comes loss, with birth comes death and then birth again, and with faith comes hope. Finally, I have learned a great deal about leaving a legacy. Dogs don’t have money or marketing degrees and they don’t care about having the best LinkedIn profile on the web; however, many of them have more impact (in a much shorter amount of time) than some of the people who do. Self-promotion does not create a legacy, but what we give to others that inspires them to love more and live more through our example is what legacy is all about. Someday these tears of grief will become tears of joy, when I am not coming from a place of loss, but from a place of sheer gratitude for the lessons she taught me and the love she gave me. Time will help with that. And for me, paying tribute now to her joyful little spirit in a unique way that will honor her legacy, will be therapeutic and spiritually rewarding. Daisy Mae’s joy will live on…and I hope to tell her how beautiful she is again at the Rainbow Bridge.